Some patients with intermittent asthma do very well until they have a cold and asthma together. 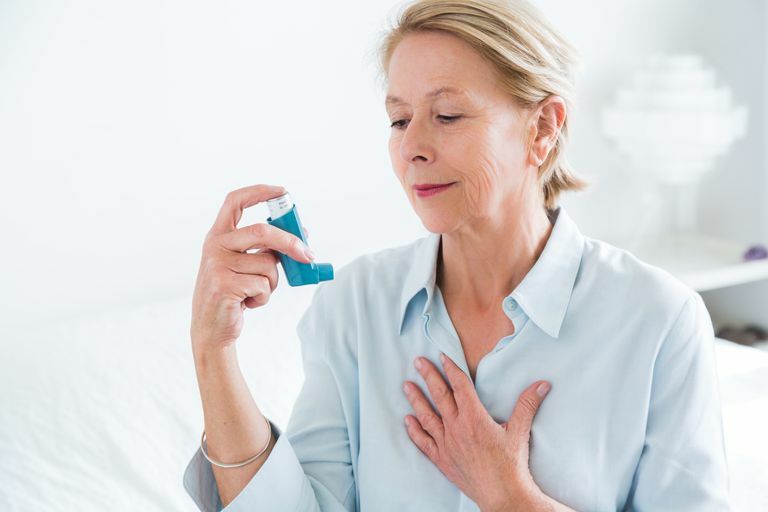 When a cold and asthma occur together, and you feel forced to use your rescue inhaler more frequently, you may wonder if you need to step up your treatment. In this situation, according to the National Heart, Lung, and Blood Institute guidelines for asthma, taking a short-acting beta agonist — like albuterol — every 4 to 6 hours for a day (or longer, if you have discussed it with your physician) is OK as long as symptoms are mild. In general, these cold and asthma symptoms are associated with a viral respiratory tract infection or the common cold. If, however, cold and asthma symptoms require you to increase your quick-relief medications more frequently than every 6 weeks, you probably need to step up your asthma treatment. You will want to make sure that you do not have the flu. Flu symptoms will generally come on more abruptly and the symptoms are more severe. Patients commonly describe a sudden onset of fever, chills, and muscle aches. Similarly, patients with the flu want only to lie in bed while patients with a cold usually experience milder symptoms. Many times your doctor will just make a clinical diagnosis or they may run a flu test. This is really important as you will likely benefit from flu treatment and there are only symptomatic treatments available for a cold. When your doctor prescribes cold treatments, you may feel better but your asthma is unlikely to improve. You may have your temperature lowered. Over-the-counter cough and cold meds may ease a number of complaints. If you have a history of severe worsening of your asthma with a cold, you may want to talk with your doctor about taking steroids at the start of a cold, especially if you have had problems or been admitted to the hospital. National Heart, Lung, and Blood Institute. Expert Panel Report 3 (EPR3): Guidelines for the Diagnosis and Management of Asthma. https://www.nhlbi.nih.gov/health-pro/guidelines/current/asthma-guidelines/full-report.